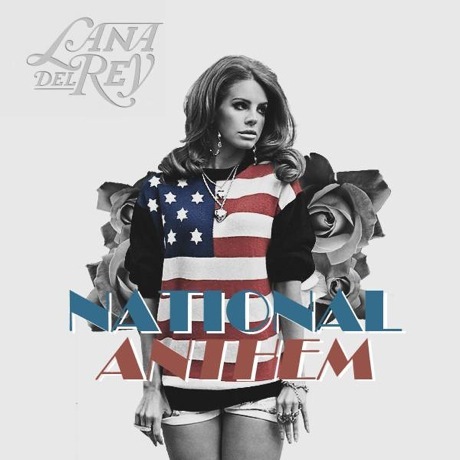 Lana Del Rey "National Anthem"/"This Is What Makes Us Girls"
Lana Del Rey is gearing up to release her debut LP, Born to Die, on January 31 via Interscope, and she's been rolling out new music at a steady pace in recent weeks. The latest tunes to hit the web are "National Anthem" and "This Is What Makes Us Girls." The former is a hip-hop-tinged cut with a mega-chorus that makes for one of the most memorable Lana tracks yet. The latter also blends wistful pop with strutting hip-hop beats, although its approach is a little more down-tempo. The songs are being taken down as quickly as they pop up around the 'net, but for now you can hear them over at Oh My Rock [via Stereogum].